As a pet owner, you have the special responsibility of making aftercare choices on your pet’s behalf. Working together, we can guide you through the process of making cremation arrangements that are fitting for you and your pet. Once the procedure is complete, we have a company come pick-up the remains from our hospital. 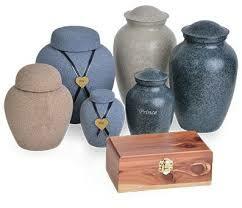 The remains are cremated in a respectful manner at a company called Gateway Pet Memorial. Memorial keepsakes can help keep the memory of your pet with you always. If your family wishes, you can have the ashes returned to you in a lovely urn engraved with your pets name or other phrase if you wish. We can offer you a clipping of your pet’s fur at the appointment for no charge. We also offer other keepsakes such as clay paw prints taken of your loved ones paw. For more information you can see all after care options offered at http://www.gatewaypetmemorial.com/.